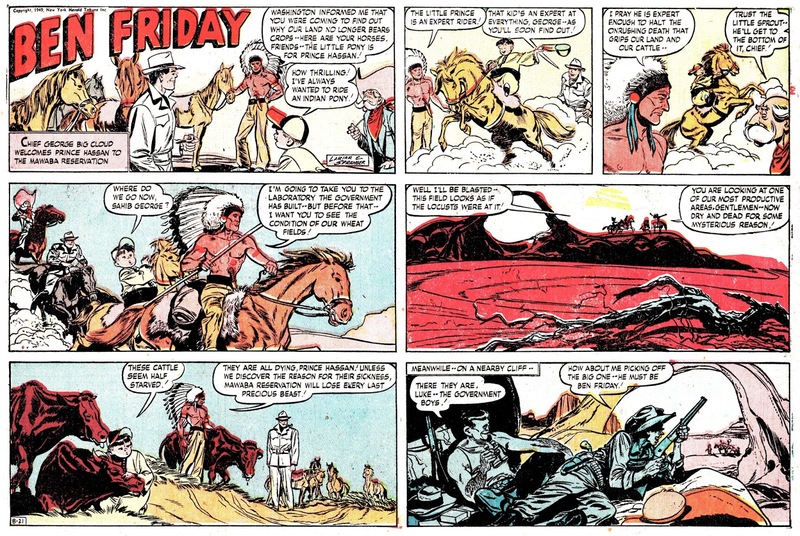 I am at the San Diego Comic Con today, So instead of the usual post, I am giving you daily installments of Lawrence Lariar and John Spranger's Ben Friday. Tomorrow another one. Use the time to look for that favorite artist of yours among my scans (as you have been wanting to for the last few months).